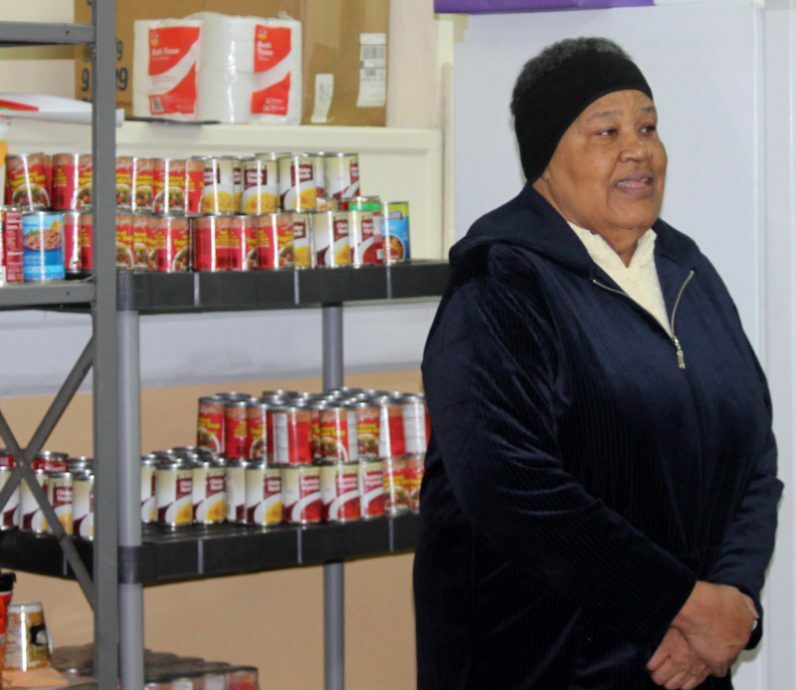 Anne Healy Ayella, coordinator of activities for Catholic Relief Services in the Philadelphia Archdiocese, stands with Lorna Horsey (left), a volunteer at the food cupboard at St. Ignatius Parish in West Philadelphia, at the Feb. 2 kick off for CRS Rice Bowl. 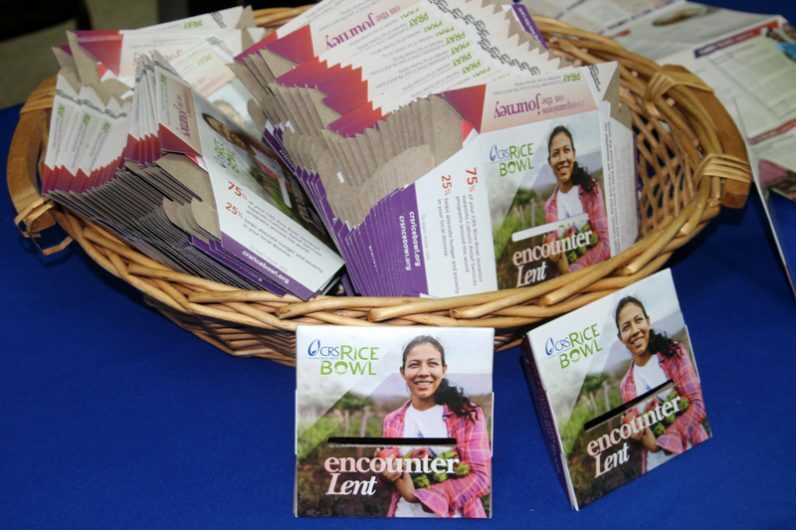 Look for these CRS Rice Bowl boxes at a Catholic church, school or institution near you. The longtime annual program increases awareness of hunger both abroad and at home, and encourages sacrificial donations by families. 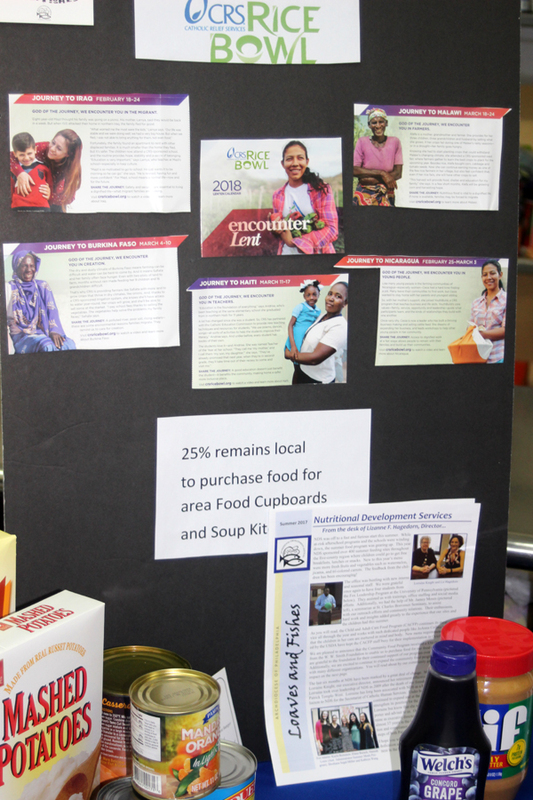 A display at the CRS Rice bowl kick off event Feb. 2 shows the local impact of the Lenten program, along with some of the food items that money collected from Rice Bowl helps to obtain. 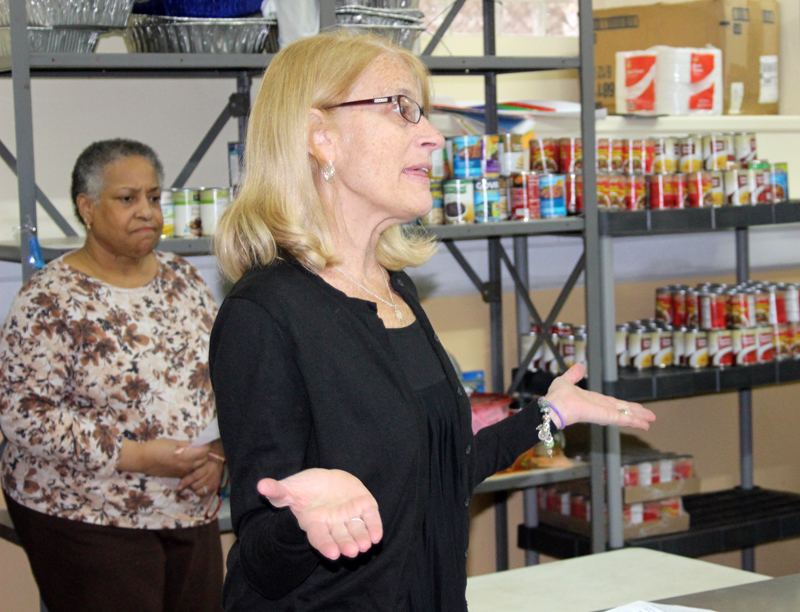 Joining in a prayer at the Rice Bowl kick off event Feb. 2 at the St. Ignatius food cupboard are, from left, Anne Healy Ayella of CRS, and volunteers Lorna Horsey and Joan Chisholm. 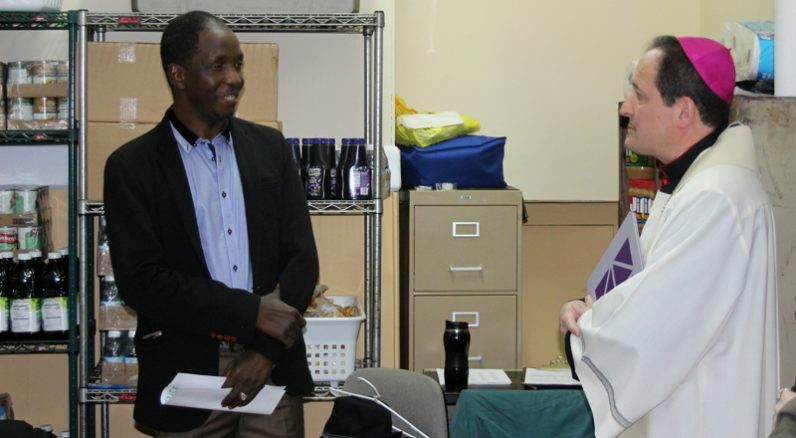 Jacques Kabore (left), a Catholic Relief Services coordinator in Burkina Faso, West Africa, tells of the work and the people in his country, as Bishop John McIntyre, who led a prayer service at the CRS Rice Bowl kick off event Feb. 2, listens. 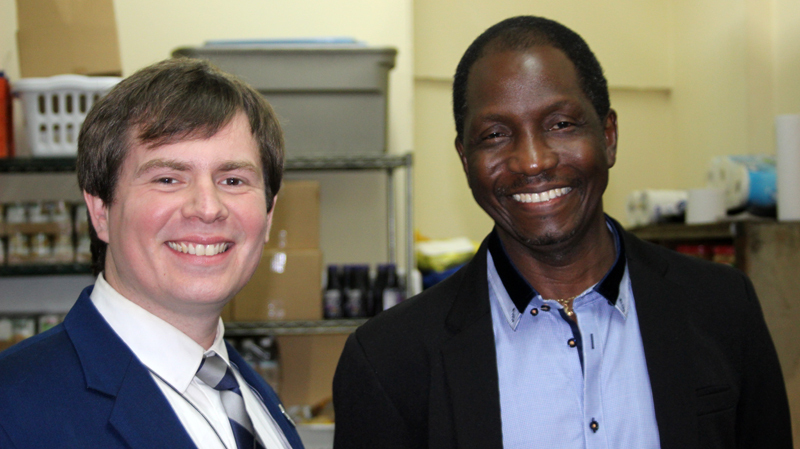 Jeff Wallace (left) of CRS, who works with CRS Rice Bowl in dioceses in Pennsylvania and New Jersey, including Philadelphia, is joined at the kick off by Jacques Kabore, a CRS coordinator in Burkina Faso, one of the poorest countries in Africa and the world.